After serving as an attorney for the Ethiopian Insurance Corporation for a year, Gebreamlak joined the Law Faculty of the Ethiopian Civil Service College and worked as a lecturer until he left the college and started his own private practice in 2006. Gebreamlak has had the opportunity to work on both public and private law matters due to his specialization in the two areas of law. 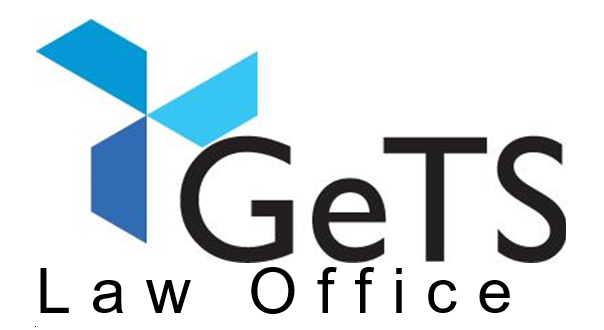 He is a co-founder of GeTS Law Office. Gebreamlak was also the Vice President of the Ethiopian Lawyers’ Association. Tewodros was also a member of the team of experts commissioned by the Ethiopia Chamber of Commerce to comment on the Draft Revised Commercial Code of Ethiopia. The proceedings of the team of experts have been published by the Addis Ababa Chamber of Commerce. Tewodros started off his career as an in-house lawyer for one of the leading public banks in Ethiopia. Furthermore, he served for two years as the Head of Legal Service of Addis Ababa University. Before starting full-time practice, Mr. Tewodros was an assistant professor of law at Addis Ababa University, and has published several articles. Tewodros was the President of Ethiopian Lawyers' Association. Seyoum was a National Senior Advisor to the Ethiopian Investment Commission as part of a World Bank supported project. He started practicing law in 2006 side by side with teaching at Addis Ababa University Law School as an Assistant Professor. Courses he taught in the undergraduate and graduate programs include company law, investment law and international business transactions. Seyoum now practices full time at GeTS Law. He concentrates on corporate law, merger, acquisition, taxation, and construction law. He is passionate about alternative dispute resolution, and has published a number of articles on arbitration in peer reviewed journals. Dr. Getachew has been teaching law at the Law School of Addis Ababa University (AAU) since 2003. Since 2014, he has been teaching in the graduate programs of the University as an associate professor of law. He also served as Associate Dean for Graduate Program of the Law School and Interim Dean of the College of Law and Governance Studies (AAU). He is the author of numerous publications published in many refereed national and foreign academic journals including the American Journal of Comparative Law. He holds LLB Degree (with Distinction) from Addis Ababa University; LLM in International Transactions and Comparative Law from the University of San Francisco, USA; Diploma in the International Protection of Human Rights from Abo/Turku University, Finland; and PhD in Constitutional and Comparative Law from the University of Melbourne, Australia. Dr. Getachew’s areas of legal practice include contracts, constitutional litigation, labour law, commercial arbitration, intellectual property, civil society law, sports and entertainment law, and mining and energy. He has been involved in legal aid projects since 2011 as a project designer, project coordinator and legal clinic professor. Currently, he is supervising the Widening Access to Justice through Clinical Legal Education in Addis Ababa and its Environs Project, funded by the US State Department. He has extensive experience representing clients before the Federal Courts of Ethiopia. He collaborates with GeTS Law Office as an of counsel in representing clients and offering advisory service in areas of his particular competence.